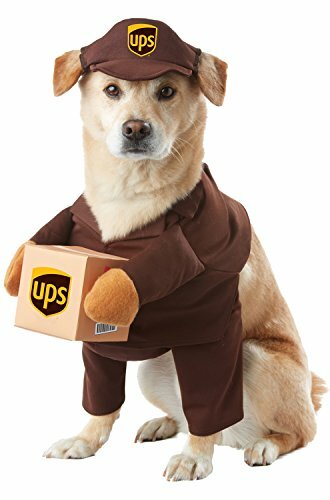 Dog ups costume. Size: X-small. 100% polyester fabric and fiberfill, 100% polyurethane foam. Shirt has sleeves for dog’s front legs, fastens around neck with Velcro.